The advantage of an elliptical over treadmills is definitely its lesser impact on your joints. While long-term workouts on a treadmill can cause weakening of joints, the ellipticals prove to be the safer alternative which provides the same level of exercises, without the side effects. 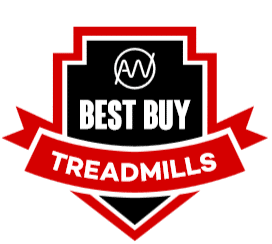 Even among the ellipticals, the rear-drive ellipticals are considered the best buy because of the natural movement they provide. They also happen to be the first kind of ellipticals to be brought into the market. Their compact size and less complex design have definitely played a role in the increased popularity of rear-drive ellipticals over others. The fact they require a lesser number of parts while manufacturing gives a clear explanation of why most of the foldable ellipticals are made with the rear-drive system. They generally come with movable arms and pedals that enable full body workout. It is possible for you to do a regular high-intensity workout regime on each of these with low impact. In all, the adjustable resistances and smooth functioning of the machine ensures a great workout experience while using treadmills. Even after the introduction of front-drive elliptical and center-drive ellipticals, the rear-drive elliptical trainers still enjoy preference and popularity over the two as a result of its ease of use and efficiency. There are several points to be noted before you buy a rear drive elliptical. Features vary from to model and so does quality. While you want a smooth functioning and silent machine with a pleasing design and efficiency, there are also factors like warranty and size to be accounted for. When you buy an elliptical for your home, space can be a major issue. The bigger the elliptical, the more room space it takes up. Thus you have to decide on where you plan to keep it before you go shopping. A good display can be a motivation for you to do better. It will enhance the look of the machine and is useful in displaying the heart rates, duration of the workout, the number of strides etc. When the elliptical supports connectivity with mobile phones or even mobile applications, this widens your scope of the exercise. Connecting the machine thus you can improve the programs ranges and incorporate better exercises to your everyday regime. A better monitoring of your vitals is also possible if you use latest technology applications. Entertainment options might seem a luxury when you begin the workouts, but soon you will need them to motivate and challenge you. A good workout playlist can energize you and move you to work out better day after day. With good speakers, MP3 players and Bluetooth connectivity, it is possible to play your kind of music and work out harder and enjoy it at the same time. Stride length determines your comfort of workouts and the size of the machine. The bigger stride length a machine has, the bigger it will be in size. Thus the compact elliptical machine might have a small stride length. The machine you buy should be tried on in advance to ensure it is comfortable for your height. The resistance offered by the machine plays a role in the intensity of workout you can do. While the impact is always low on ellipticals, due to the variable resistance they offer they match the treadmills in the intensity of workouts they can offer. A great elliptical can have up to 20 or more levels of resistance. A good elliptical will have a range of programs for you to choose from, all designed to help you get fit. This will not only help you to work for all parts and muscle groups but also prevents you from sticking to a single kind of exercise routine. They can also offer to cross-train. The variety can prevent the formation of any kind of habits or any possibility of future injuries etc. Inclines help users to challenge themselves every time they hit their goals. With an increased incline you can set further improved goals for yourself and work towards them. Apart from this, the incline gives you a lesser impact exercise experience, even for ellipticals. When you increase the inclines and workout, it duplicates the motor reaction you get while running thus making your body mimic the effects of running. The best factor about the rear drive machines is their smoothness in functioning. When the first elliptical was built with a rear drive and patented, the competing manufacturers were left with no option but to innovate the design of rear drive ellipticals. Thus, was the center drive and front drive machines introduced in the markets. They mostly differ in their stride length, the resistance levels they offer and sometimes on how far they work the upper body during Normal workouts. Rear drive machines retain popularity in their fields even after all these years because of their smooth functioning. Out of all the three types, rear drive ellipticals sell the most in markets owing to their efficiency in providing fitness to users. They give you the feeling of a real jogging or walking better than the other two ellipticals. They also have a more focused work out experience that either front or center drive ellipticals. The rear drive machines bear their flywheels are the back end and have an automatic or manual incline adjustment mechanism. This tends to make them comparatively expensive. Front drive machines mainly give the same effect as a stair climber and the user has to lean a little forward for the ease of workouts. The center drive machines gain focus in their space-saving feature and better positioning of the body during workouts. They also give full strides during regimes and do not go halfway. Even with all these differences, it has never been scientifically proven that there are major and noticeable differences in the workout results of the three ellipticals. The rear drive elliptical design was found to be the easiest and comfortable design by the manufacturers when they were building ellipticals for the first time. It has flywheels at the back of the machine and thus is more easy to use. It gives a straight position to the backbones. The features also add to the user’s comfort. The rear drive ellipticals tend to have less number of parts. The number of moving parts in a rear drive machine is far less compared to a front drive machine. This also reduces the chances of wear and tear, and thus maintenance expenses. The front-drive machines have wheels that run on rails in the rear. This can lead to friction and wearing off over time. They also operate with flywheels in the front portion of the machine. It necessitates the user to lean in while workouts, making the exercise more like a stair climbing workout. The main aim of every workout is to strengthen your core. Who doesn’t want to cut down the extra belly fat and look flat and slim? The rear drive ellipticals work both your lower and upper body. This, with the arm workout you do, puts more pressure in your abdomen and core. Thus it gets more worked and you can lose weight faster. The rear drive ellipticals are designed to give an overall body strengthening exercise for the users. It doesn’t focus only on your limbs or on giving a low impact workout. In several points, they stand a scale ahead of treadmills. For example, they have varying levels of resistance to offer so you can adjust it to increase the intensity of your workout. This certainly helps you to burn calories quicker while using elliptical machines. The upright position and the support of the armrests give more support to your spinal cords. While in the comfortable position, you can work your upper and lower body better. The variable incline option better works for your muscle groups such as salutes and hamstrings to get you in a better shape than ever before. The major difference of an elliptical from a treadmill is that they do not focus just on a certain part of your body. They work out both lower and upper body equally but at the same time give focus on individual muscle groups. When you workout on an elliptical, your shoulders, core, arms, chest and, thighs all get worked equally. It thus gives a full body workout doubtlessly. Front Drive or Rear Drive Elliptical which one to select? The rear drive ellipticals certainly have better weighing flywheels in comparison to the front drive ellipticals. They also provide a greater range of resistance and the option to adjust the inclination either manually or automatically. While variable incline feature is common in rear drive machines, they not present in all front drive ellipticals. The intensity of the rear drive machines is far higher than the front drives, as a result. There is a difference in the pace at which you can burn calories in these machines since they vary in intensity. Even though the front drive machines offer the strait climbing effect in workouts, the better-equipped workouts of rear drive machines outdo them in efficacy. The rear-drive machines have dominated commercial markets for a long time now. They have maintained a major share in the elliptical sales since their introduction. Rear-drive ellipticals are also the most commonly used machines in gymnasiums, among the three types. If all this doesn’t favor the machine, the simple fact that they can offer better stride lengths, variable resistances, inclinations and price ranges will definitely turn the balance in their support. However, one’s buying decision should depend on individual needs and necessities. You should always consider the pace factor before investing in an equipment like an elliptical. Consider the kind of workout you need, how fats do you need to get in shape and the budget before you finalize the model that best suits you.